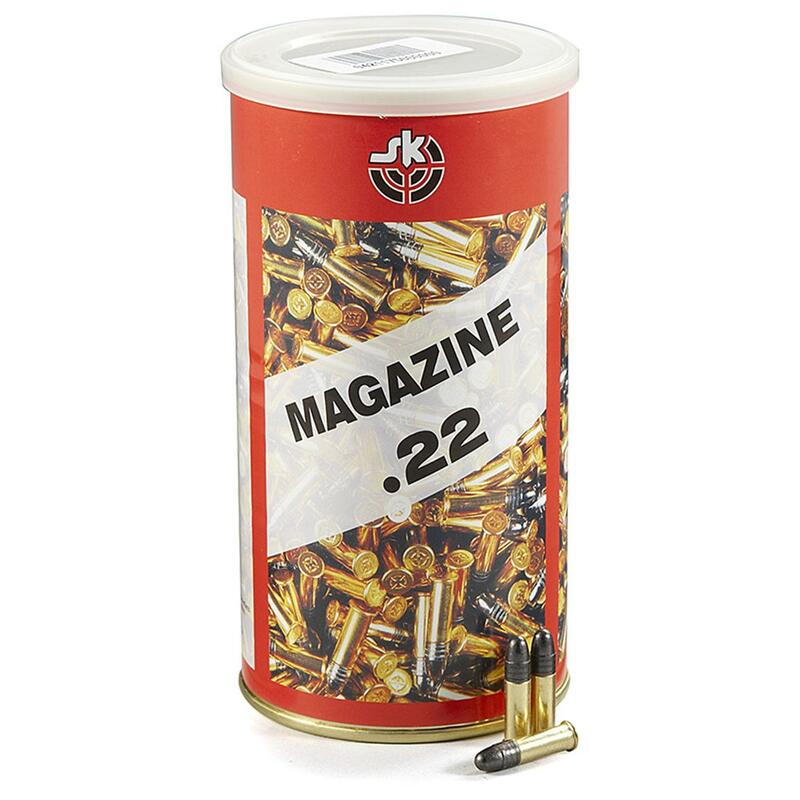 500 rounds SK .22LR 40 Grain LRN Ammo, reliable training rounds, PRICED LESS! .22LR for short and long-range rifle / pistol training, offering reliable performance when firing at silhouette targets. Brass-cased, non-corrosive. 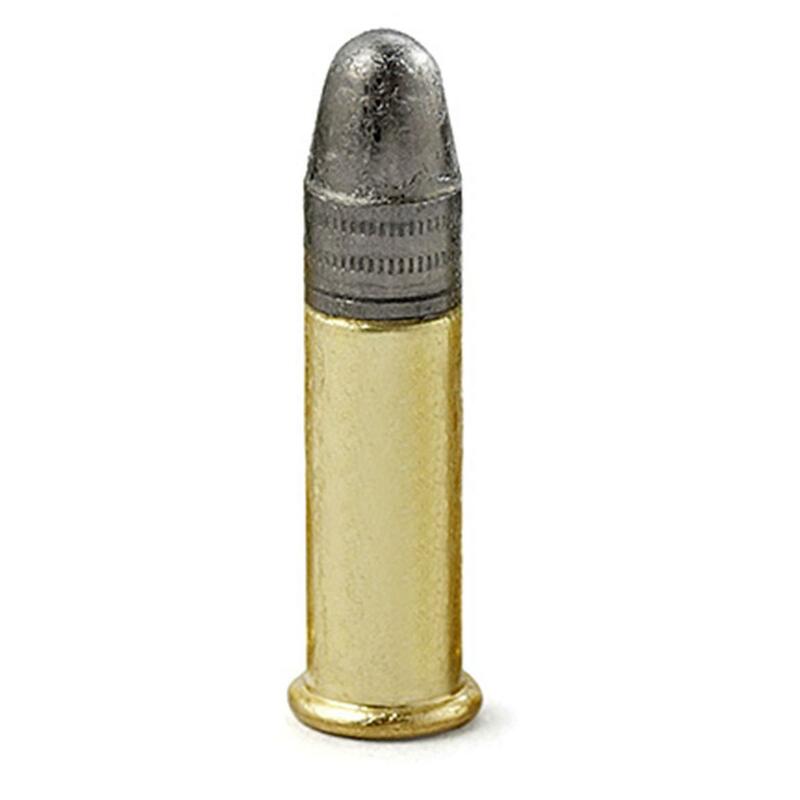 40 Grain lead round nose bullet. Muzzle velocity: 1,066 f.p.s. Muzzle energy: 101 ft.-lbs. Rounds come in a sealed can. 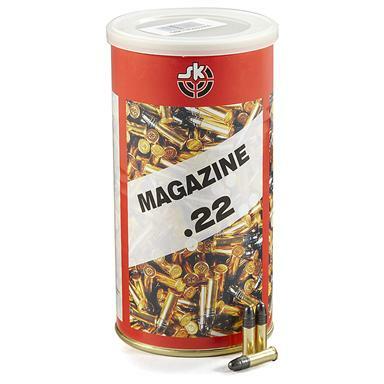 500 rounds SK .22LR 40 Grain LRN Ammo is rated 4.8 out of 5 by 40. Rated 5 out of 5 by billwunder from This is great ammo! This has been my go to ammo for a long time. Shoots great in every 22lr I own. When I stray to find superior ammo I always return. Nothing better at this price. Buy it! Rated 5 out of 5 by Skip from Accurate in my 10/22 Target model I've tried most 22LR in this price range and Magazine is one of the most accurate. Rated 5 out of 5 by Nelson from Really good ammo, Bought two cans a while back and finally opened one. A little oily but they shoot great. I have several tricked out 10-22s that love them. Also my wife's nylon 66 shoots them great. Can's about half empty with no fliers,no stovepipe's and no misfires. I'll buy again! Rated 5 out of 5 by Bomkt1 from Fair price Shoots very well in all my rifles.Several 5 shot groups in the .25 range at 50 yards. Rated 5 out of 5 by Henry from Great Value A little oily but, excellent shooting in my bolt action rifles. A good middle of the road target ammo. Rated 5 out of 5 by billwunder from Quality product. High Accuracy SK Standard Plus is my go to ammo for accuracy in all my 22LR rifles. This is my first time purchasing the SK Magazine. I don't know if these are first line rejects for whatever reason. They shoot as well as the SK Standard Plus for me and I would purchase again and save a couple of bucks. I could see no lot number printed on the package is that is important to you. Great accuracy. Ideal for use with suppressed .22s. High performance for small game.